Michael Morpurgo 75th Anniversary Tour London tickets on sale now! If you grew up in the 1970s, there is no doubt you've heard of Michael Morpurgo, who began his career in writing in the dazzling decade of disco. Taking inspiration from the schoolchildren he taught in a primary school class in Kent, Morpurgo has written more than 130 books, the likes of which include Kensuke's Kingdom, The Butterfly Lion, Private Peaceful, and War Horse, the latter of which became a London theatre sensation and the favourite of Queen Elizabeth II herself when it was adapted into a full-blown play for the National Theatre. War Horse was later adapted for the silver screen, directed by one of the most famous directors of our time, Steven Spielberg. An autobiography of Michael Morpurgo live on stage! But what about Michael Morpurgo in real life? What's his story? How did a young boy who had no desire to read books and had dreamt of becoming an officer in the army become of the best-selling authors of our time? What did Michael Morpurgo face in his own life story that prompted him to write over a hundred children's books? Now celebrating 75 years on planet Earth, Michael Morpurgo is ready to share his gift for writing magical stories and unveil the many secrets he has learned from nearly 50 years of writing. You don't want to miss this special, one-off event with one of the UK's most beloved Children's Laureates of all time! 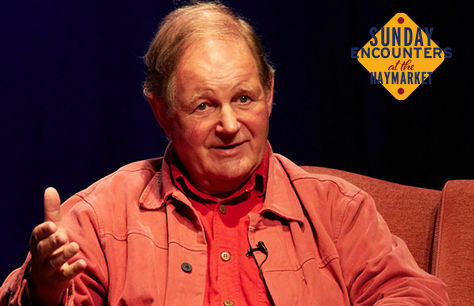 Michael Morpurgo 75th Anniversary Tour is presented by Fane Productions on behalf of this year's Sunday Encounters at the Haymarket programme. Book affordable tickets to Michael Morpurgo 75th Anniversary Tour! Don't miss this spectacular one-off event. Book your tickets to Michael Morpurgo 75th Anniversary Tour at the Theatre Royal Haymarket now to avoid disappointment! Tickets to see War Horse author Michael Morpurgo will not last!